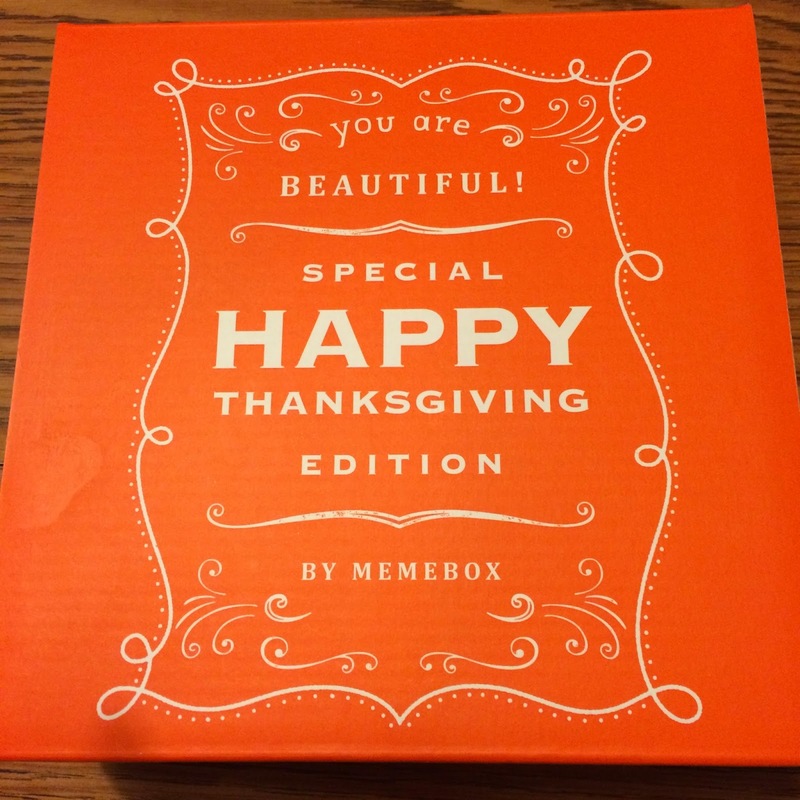 This box is part of a "2-piece set" I purchased; each Thanksgiving Edition, but one is "For You" and the other is "For Me." This box is "For Me." The Thanksgiving boxes came in a pretty orange box, instead of the recognizable pretty pink boxes. 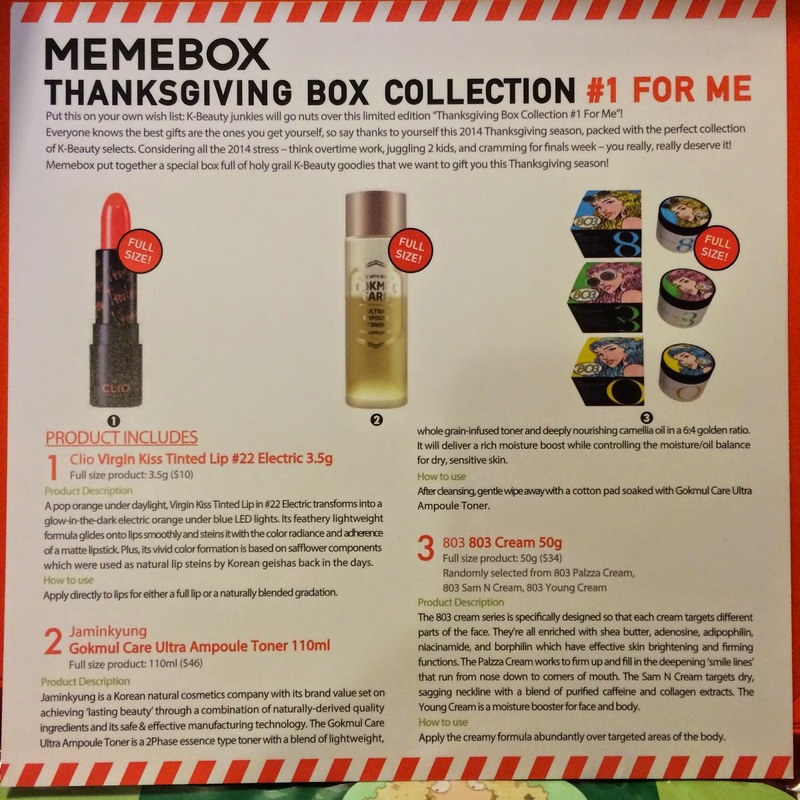 Put this on your own wish list: K-Beauty junkies will go nuts over this limited edition “Thanksgiving Box Collection #1 For Me”! This ready-made luxury gift box has a special Thanksgiving themed box design, and a personal Thanksgiving holiday greetings message inside just for you! Everyone knows the best gifts are the ones you get yourself, so say thanks to yourself this 2014 Thanksgiving season, packed with the perfect collection of K-Beauty selects - skincare, makeup, and everything in between! Considering all the 2014 stress – think overtime work, juggling 2 kids, and cramming for finals week – you really, really need to give yourself a break to say thank you! And why not say thanks to yourself with a box full of skin nourishing, skin-loving essentials! In honor of treating yourself (because we all know you deserve it), we've put together a special box full of holy grail K-Beauty goodies (we promise you’ll use ‘em to the very last drop!) that we want to gift to you this Thanksgiving season! This box contains all but one full size product! This is a bright orange lipstick that glows under LED lights! Exciting, but not a product I'll actually use. 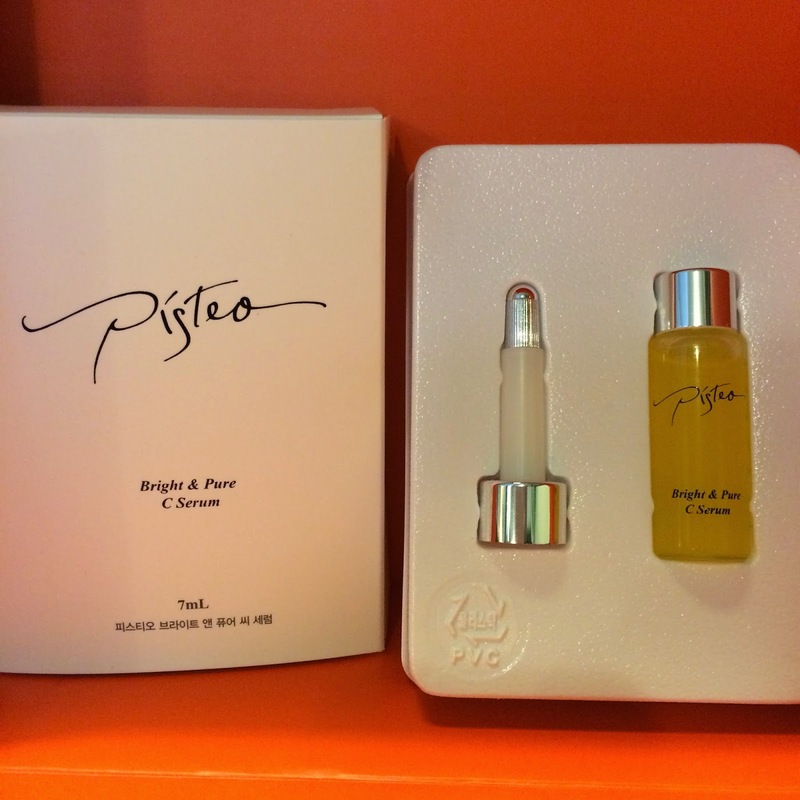 This is a 2-phase essence and toner in one, with camellia oil. Despite being formulated for dry skin, I've discovered that camellia oil is actually great for acne, making this toner great for any skin type. Sounds like it could be a great product! There are several different types of 803 cream, and there was a possible 3 different types that could have been received in this box. I received 803 Wrinkle Cream; formulated for use on smile lines. 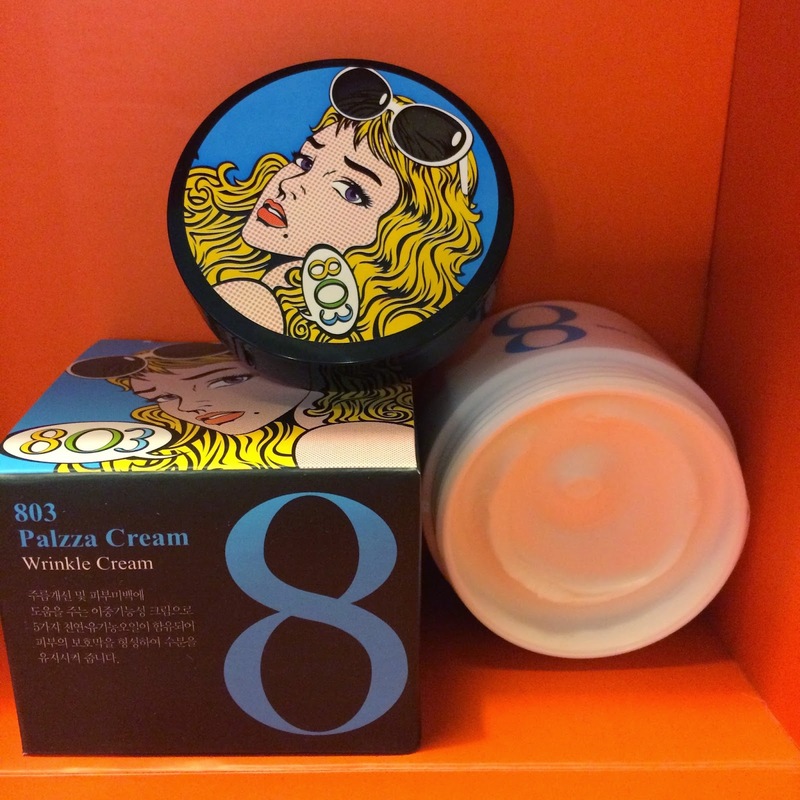 This is a deeply moisturizing cream, but it works! It definitely plumps lines and could be used on the body as well as the face. 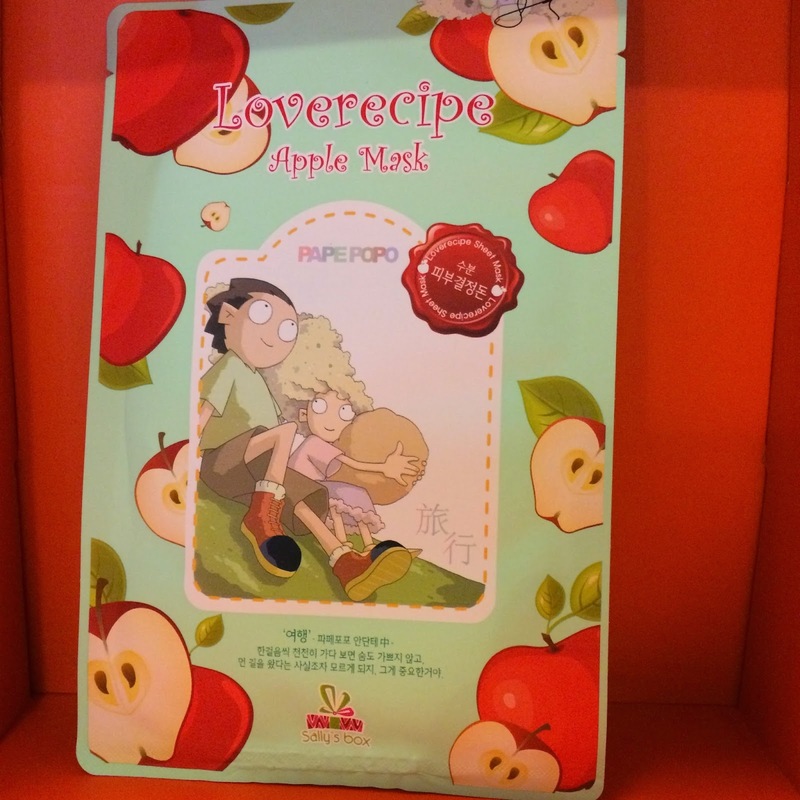 If you're a regular reader of my blog, you know how much I love sheet masks. 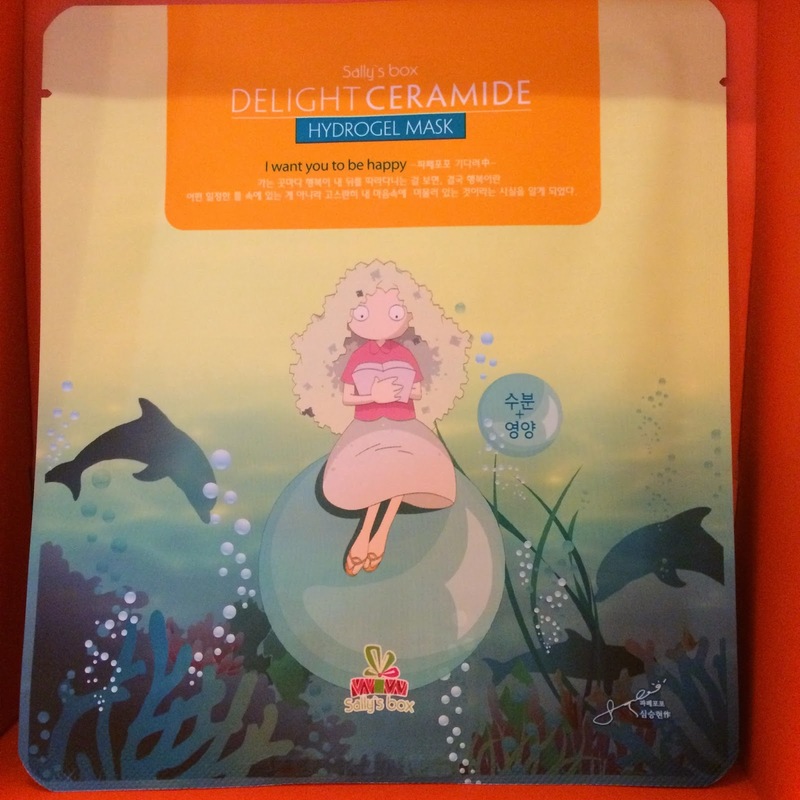 I was so excited to see 4 sheet masks (3 of which being hydrogel masks) in this box. Yay! This is a lemon citrus scented perfume in solid form. The smell is nice enough, but I get migraines too easily so I don't wear perfume. 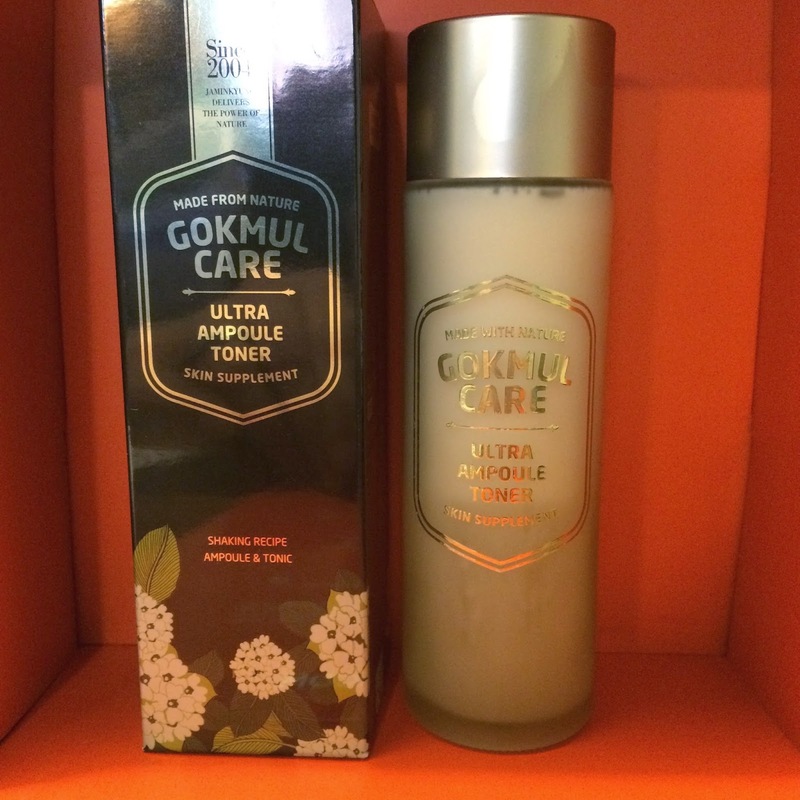 This is a typical deep-cleansing foam. Unfortunately most creamy foams like this break me out, so I'll probably use this to clean my makeup brushes. This was a delightful surprise to see in this box, considering I *just* ran out of my other vitamin c serum. 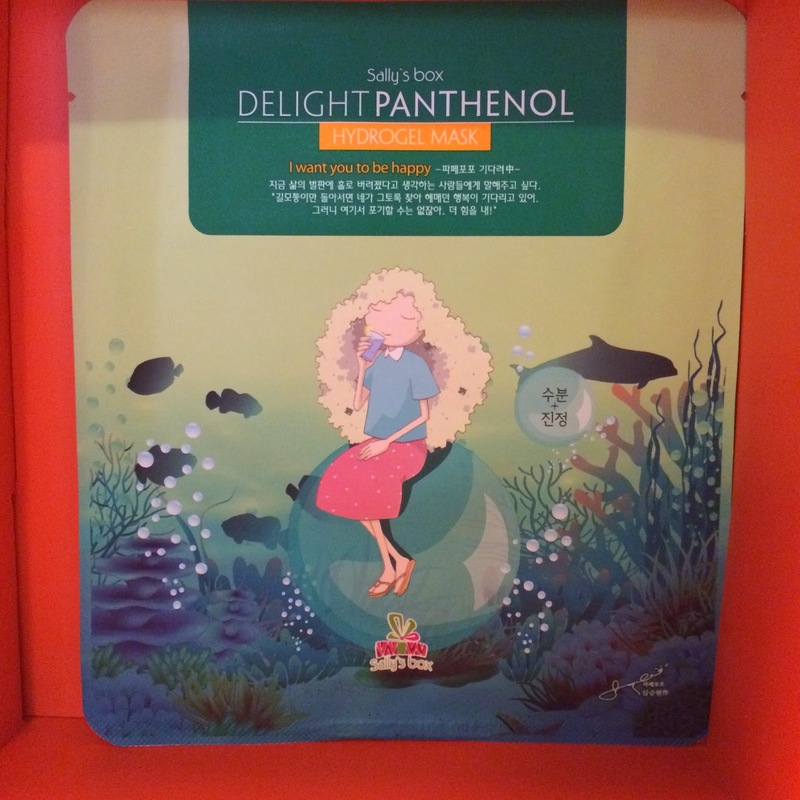 This is a nice product, not sticky, smells nice, and brightens the skin. I love it! This box retailed for $26 + shipping, and has an estimated value of $147. 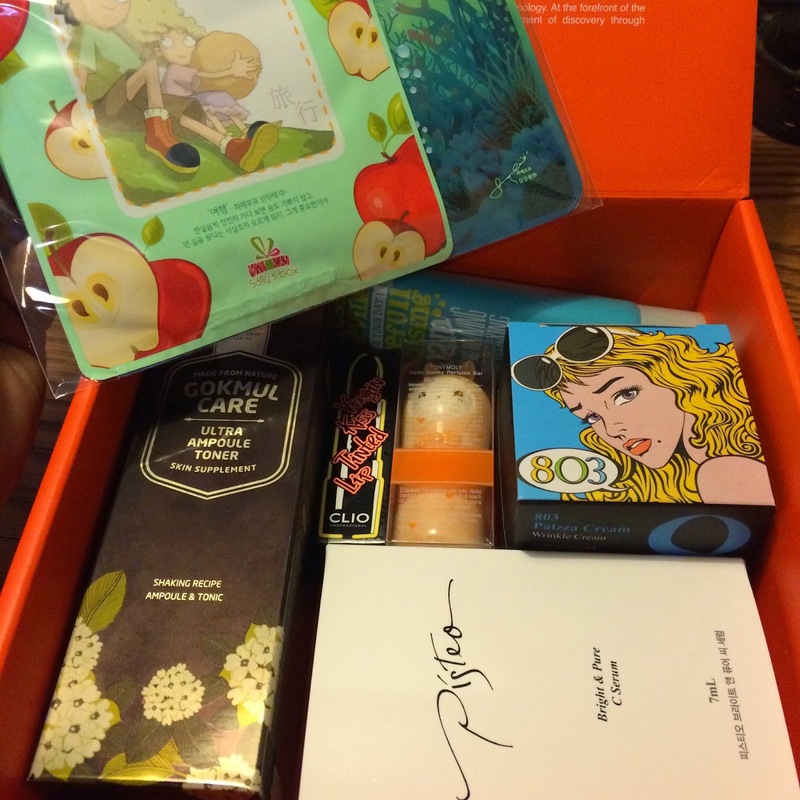 This was a very nice box with an excellent assortment of products. I hope to see more like this in the future. 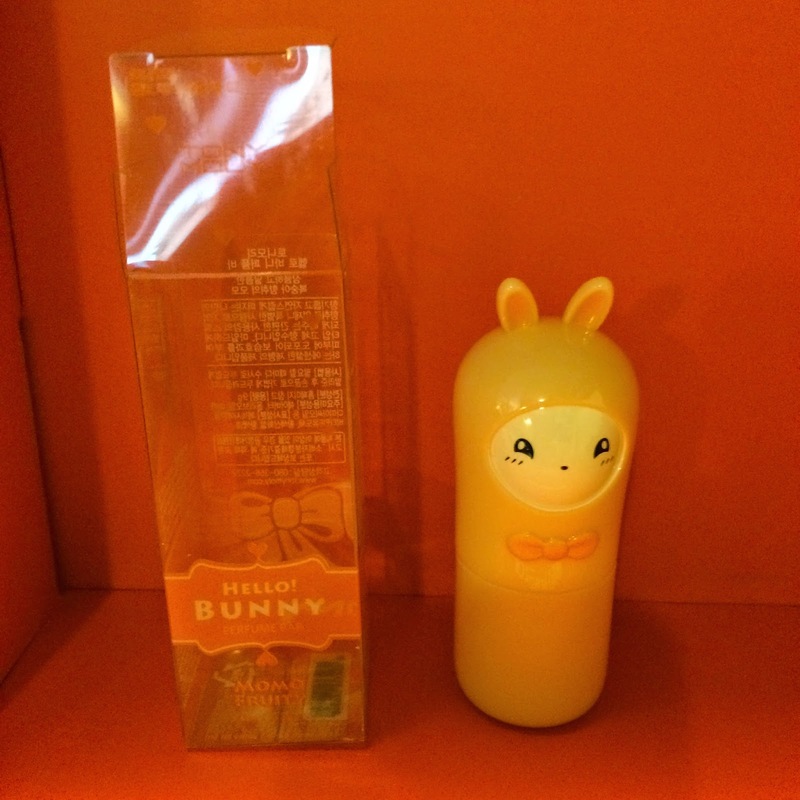 I love the packaging on the hello bunny but I probably wouldn't ever use it either!! I loved this box. Well, the orange lipstick wasn't a winner in my book, but it did glow in the dark, so that's kinda cool. I adore the Ariul cleanser. 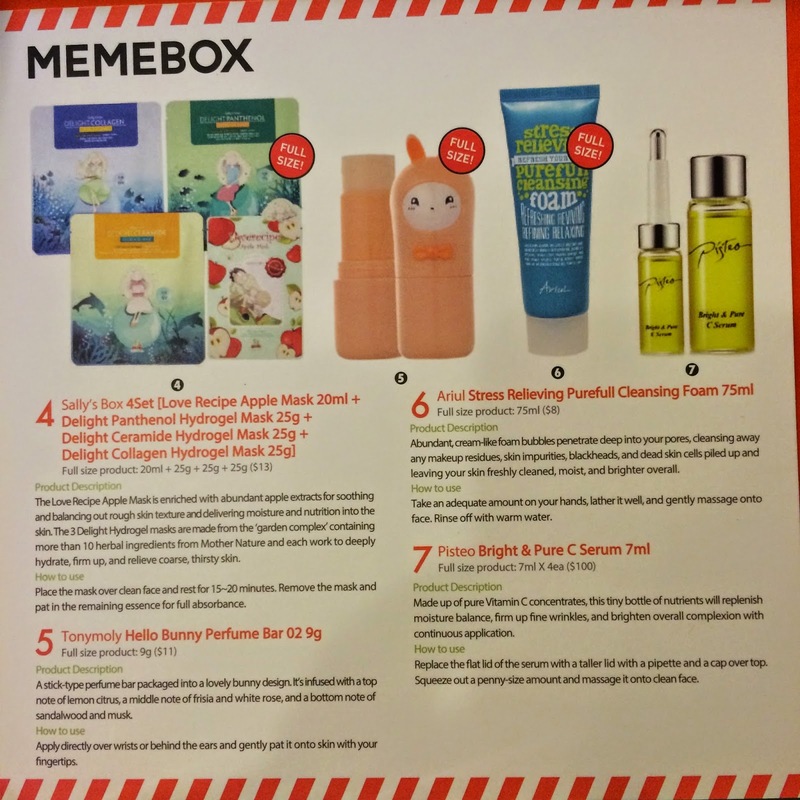 I love all thier products actually. I wish I would have ordered these they look like amazing boxes! I love this box! I wish I had ordered it. 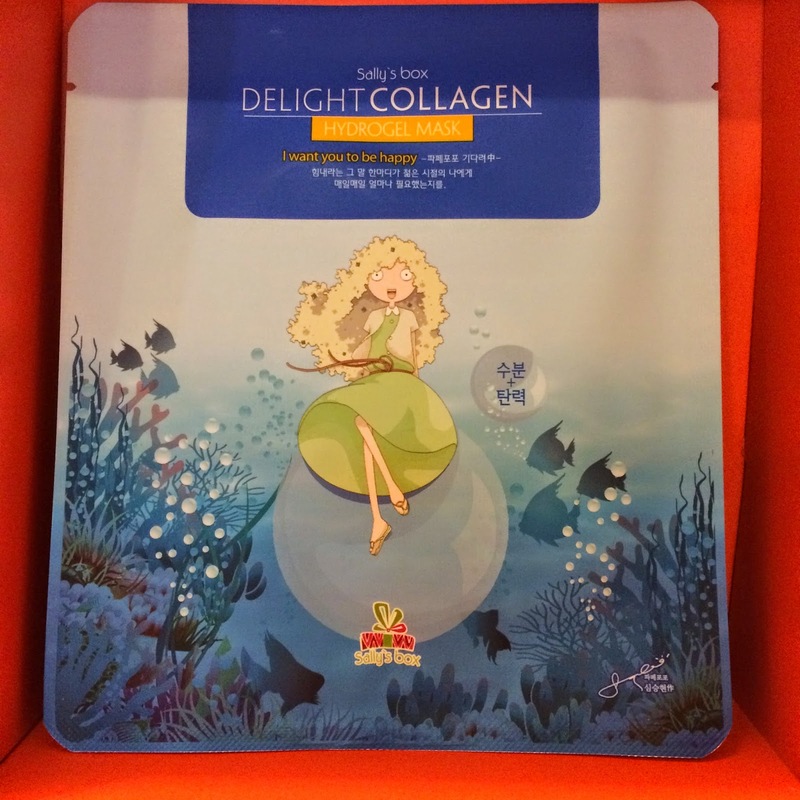 Oh wow, these products are gorgeous! Love the bunny perfume!